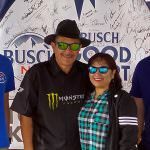 Race fans were rewarded for celebrating responsibly at Auto Club Speedway before the Auto Club 400 on March 18, 2018. 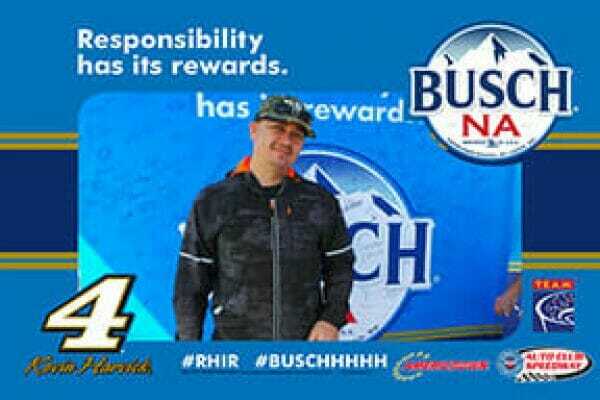 This marks the fifth consecutive race that Auto Club Speedway, Anheuser-Busch, Americrown and TEAM Coalition have come together to promote responsible drinking and traffic safety. 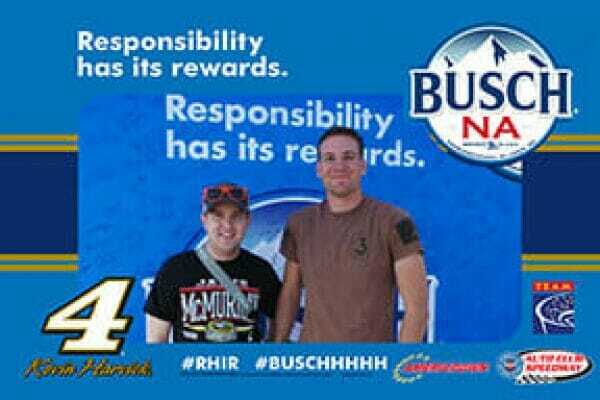 Before the green flag waved, 227 fans made the Busch NA Responsible Fan pledge – a promise to drink responsibly and have a safe ride home. 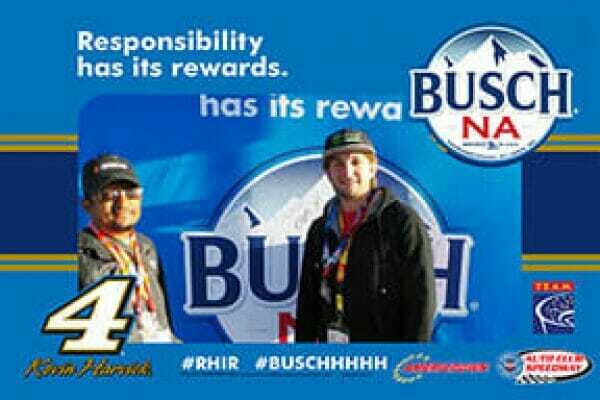 All of them had the opportunity to receive a free souvenir photo, instant prizes, and a chance to be selected as the Responsible Fan for the Race. 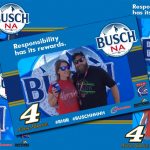 One randomly selected, responsible fan will win the “Responsibility Has Its Rewards sweepstakes.” The prize includes two tickets and a VIP experience for two at next year’s Monster Energy NASCAR Cup Series™ race at Auto Club Speedway. 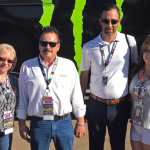 The Designated Driver for the Race from the 2017 Auto Club 400, Tom Myers, received a pair of tickets and a behind-the-scenes experience for himself and his guest before this year’s race. 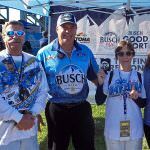 Located 50 miles east of Los Angeles in Fontana, Auto Club Speedway is California’s premier motorsports facility, hosting over 320 days of track activity each year including the Monster Energy NASCAR Cup Series Auto Club 400 weekend March 16-18, 2018. The two-mile D-shaped oval is one of the fastest tracks on the circuit. The Speedway is also home to numerous movies, television and commercial productions, photo shoots, new car testing, club racing and a variety of racing schools. For more information on events at Auto Club Speedway call 1-800-944-RACE (7223) or visit www.autoclubspeedway.com.